BatchPCB is moving on to someone who can give it the love and attention it deserves. 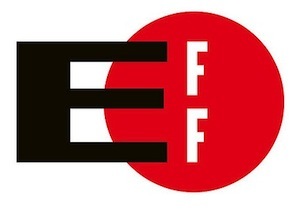 "At EFF, we like to see people learn about the technology they own, make improvements, and to spread that knowledge freely (and fight in Congress and the courts to make sure they can!). That's a mission that SparkFun is totally aligned with, and we're so glad to see that the hackers, makers, tinkerers, and other curious people in the SparkFun community recognize that and give us the support we need to keep defending digital rights." Once again, the members of the SparkFun community didn't disappoint and we are proud to announce we will be cutting a check for $13,328.85. As you can see (by doing a touch of math), it was a huge sales day - one of the biggest we've ever seen. Thank you so much for participating and helping out the EFF! You may or may not have known this, but for years, SparkFun has run a second company called BatchPCB. We created BatchPCB as a way of giving hobbyists, students and engineers an easy way to get small runs of custom PCBs fabricated for a reasonable price. Our idea was simple - users submitted their designs, which were "batched" together onto one panel. We ordered the entire panel, broke it up into the individual designs, and then sent you your board. 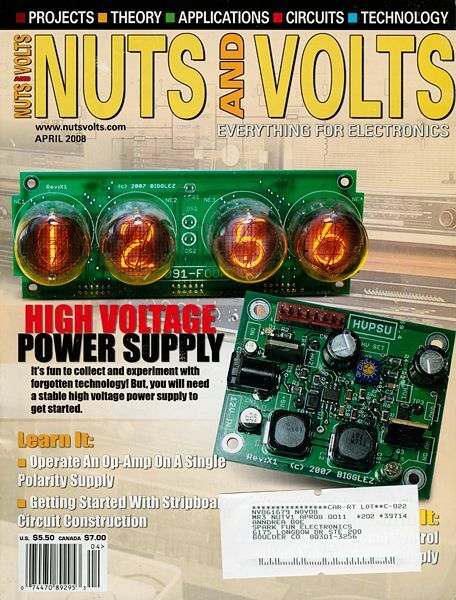 It took the idea of "power in numbers" and applied it to PCB fabrication. Patrick from BatchPCB showing off for the new "marketplace feature" which allowed users to sell their designs directly on the BatchPCB website. Fast-forward to a few months back, and BatchPCB continued to be a successful enterprise. However, SparkFun itself has grown beyond what we really ever thought was possible. We had put a ton of time, energy and love into BatchPCB over the years, but we came to realize that it was playing second fiddle to SparkFun. It was a nice fiddle - and a useful, functional fiddle - but a second fiddle, nonetheless. So we started to brainstorm what to do. We realized BatchPCB was a valuable resource to many electronics enthusiasts, so closing up shop was never really an option. We realized that the only way BatchPCB could get the attention it deserved was to sell it to someone who could provide a bit more focus. So we began looking for suitable buyers. It wasn't long before we discovered OSH Park. We found that their ideals align closely with ours and they had the infrastructure and know-how to help BatchPCB thrive. So after a series of discussions, we came to an agreement, and BatchPCB ownership was officially transferred on May 1st, 2013. So there you have it. We now recommend OSH Park for all your custom PCB fabrication needs. They do great, high-quality work - plus their boards are an awesome purple color. It is a bit bittersweet to see BatchPCB migrate to a new home, but we know her new owners will treat her well. Farewell, Batch - we barely knew thee. I've used OSH Park for several boards and have been very pleased. Super easy to work with and great pricing. Happy to see this. Sometimes i wish the turn around was a little faster and that i could choose a different color PCB but neither of those things will deter me from ordering more boards. I think the easiest way for him to offer different colors of PCBs without making things too complex could be to have the first board in purple, the second in white and the third in red. It doesn't matter what the other colors would be, but they would have to be fixed choices. 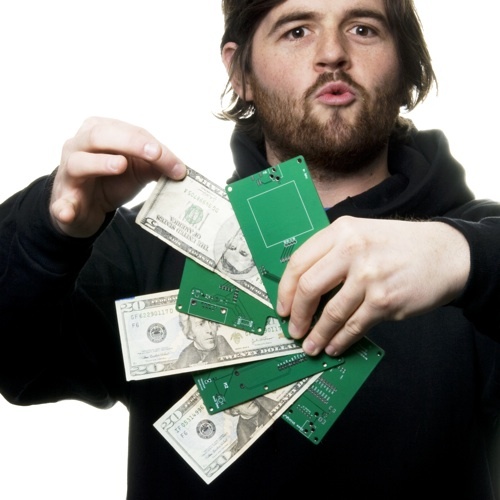 OSH Park grew out of an endeavor by Laen on DorkbotPDX to make low cost prototype PCBs available. It took him years of effort and he went through some tough times, but OSH Park is the result. Laen is a great guy to work with and the PCBs he produces are top quality (I love the gold plating). It's easier to submit a design there than with BatchPCB and the turnaround time is better too. "the new âmarketplace featureâ which allowed users to sell their designs directly on the BatchPCB website." does not apply to OSH Park. A site that is focused on selling your own PCB designs, kits, and completely assembled electronics boards, is tindie.com - you'll see several sellers that that have used OSH Park. Others include Ponoko, and Club Jameco. Perhaps others could list further alternatives to this aspect of Batch PCB. Maybe OSH Park will adopt BatchPCB's marketplace feature as part of the transfer. Can't say enough good things about OSH Park, they have done a great job and I have ordered hundred's of boards with dozens of designs. I have never been unhappy with the service or boards I get from them. Was ordering boards from Dorkbot PDX before OSH Park and Laen has always been awesome to work with. My biggest disappointment with OSH Park is that ... they no longer ship purple boards in purple shipping bags. Yep, that's it. Biggest one I could think of. Other than that, they're completely awesome, great customer service, support for payments via Google Checkout or Paypal. Shows you a visualization of your board as it interprets the Gerbers. Works with gEDA. Sends confirmation emails at various board steps so you know exactly where your board is in the process. I TAKE IT ALL BACK! MY LATEST ORDER CAME IN A PURPLE SHIPPING BAG!!! W00T! I've done over a dozen boards at OSHpark and they have all been flawless and very high quality. So you will not be disappointed in the service. The increase in volume (with BatchPCB) also translates to faster turnaround time. With the extra load, their servers may take a while to process a complex board - but it's worked great for me. I made that CAM file for him. The only thing that it does differently, is change the names of the layers to what Laen wants. Yea, I got tired of changing the names myself, so I made that CAM file and sent it to Laen. Told him he could put it on his site for download for the wonderful service he has given me for a long time now. Anyone? I hate to lose all my boards that I already had saved with Batch. I've emailed all parties involved but still haven't gotten a response. Does anyone know what is happening with this? I too have looked into this. If you do not have your .zip or gerber files you will have to recreate them. Sorry. If you kept your .zip or gerber files, then you can follow these instructions to create the outline file that OSH Park needs. BatchPCB wanted the board outline on another layer, like top silkscreen, or top copper. The quickest path to converting your gerbers for use at OSHPark is to simply make a copy of the file that has your board outline in it, and give it a â.GKOâ extension. Oh well, I've been using OSH Park recently anyway. Too many issues with BatchPCB rejecting my designs, but OSH Park had no problems with the exact same designs. I love OSH Park. I've been using them for all my boards. The way they instantly show you what your board is going to look like is like nothing I've even seen on other sites. So much better than looking at gerbers. You don't even have to create gerbers. You just upload your .brd file and you're done. The prices are great. From submission to mailbox is about 2 weeks. (With free shipping.) Not bad for the price you pay, which is very cheap. The boards are amazing quality. I like the purple for its uniqueness, but I wish they added more colors. I'd love to get my boards made in red or blue! I recently just got some boards from OSH park and have to agree, they're fantastic. Really great prices and I had boards in my hand 12 days after placing the order. Love it! This is just awesome. Spark fun is great. OshPark is great.....I have some boards arriving from then today.... This is a good deal. Just tried OSHPark for the first time. I'm using OsmondCocoa and the default filenames didn't get recognized by OSHPark, so I tried the simple way: rename the files. And it worked on the first try! 2 . Use "Files, Export, Gerber files"
4 . In Finder, right-click the GerberFiles folder and select "Compress GerberFiles"
5 . You're now ready to upload the .zip file to OSHPark! This confuses me, because I've always shipped them *.GBR and DRILL.TXT and they've accepted them just fine. That's what I tried at first but I was getting errorsâ¦ I'll try uploading the files directly next time and watch carefully what the errors are. Maybe I missed something? Sorry to be grammar police but you may want to fix "SparkFun has ran a second company." Past perfect, past participles, past simple, etc. Gotta keep 'em straight. Hm ... even Eurocircuits is cheaper (not by far, ok, but cheaper) for 100x160mm boards 4 layers, and delivery time is a lot faster (7 working days at EC). Will keep seeedstudio for cheap boards and EC for critical boards.